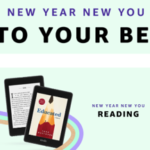 Happy 2019, everybody! With the start of the New Year, I’m sure everybody has a wish list of some sort they want from Apple. 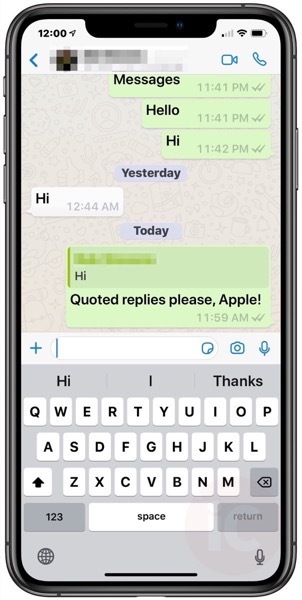 If there’s one simple feature request we’d like to see, that’s quoted replies in the Messages app, taking a page from Facebook’s WhatsApp. The problem? When you’re in a group chat or if you’ve been bombarded with messages, replying to a specific message saves time. But with iMessage, all you have is the Tapback feature, which offers a quick reaction to a message, such as a heart, thumbs up, thumbs down, ‘haha’, exclamation point and question mark. Within WhatsApp, quoted replies are very simple. You can either tap and hold to reply to a specific message or swipe right on it. Then you just type your reply and send. The Tapback feature in Messages is nice but quoted replies would make group chats even better. While there are many things we want Apple to fix or add (or release, like AirPower #vapourware) in 2019, Messages is the app I use the most and it’s downright frustrating to try to reply to older messages in a large group chat, since you need to re-type what and who you’re answering to. Do you want to see quoted replies in iMessage at some point in the future?